This is a Salvador Dali hand signed etching titled “La Cour du Lion (The Court of the Lion)” from the 1974 suite “Le Bestiaire de La Fontaine”. Hand signed in pencil by Salvador Dali, pencil marked E.A. as a rare artist proof edition. Printed in May 1974 by Atelier Rigal in France. Published in 1975 by Les Maitres Contemporaines. This piece is also signed on the back by the original owner. 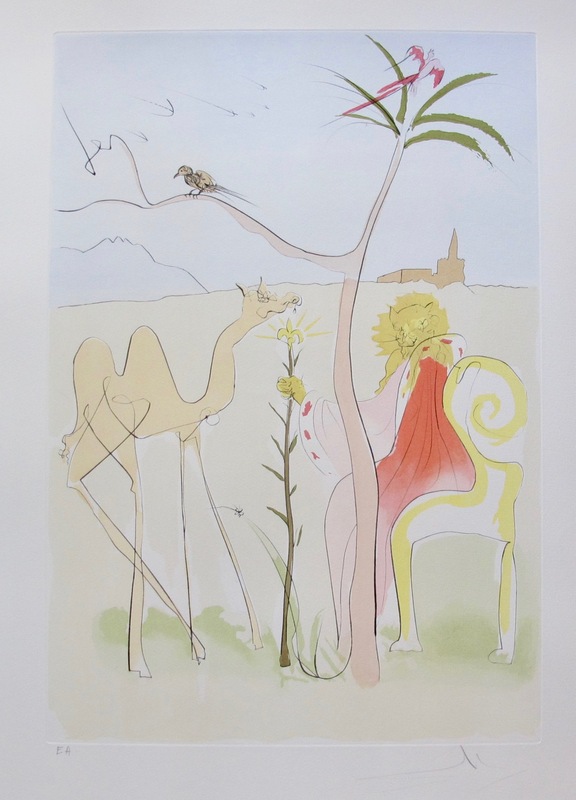 Be the first to review “Salvador Dali 1974 Hand Signed Etching Cour du Lion Le Bestiaire de la Fontaine” Click here to cancel reply.